An important feature of (world)citizenship is having a sound insight in the structure and workings of our global world. CivicLab supports this with work from the well-known research tradition world-systemanalysis (WSA) which it also popularises for secondary education. World-systemanalysis. An answer to 1968 still is the only Dutch book long introduction to the research tradition to date. This study formed the reception research of the Research Group WSA at Ghent University and was the main part of the course Introduction to WSA at the same university that introduced the research tradition to the Belgian scientific community in the 1990s. The first chapter traces the history of the tradition and explains how it produces a fundamental critique of modernization theory and the modern civil identity. We do not live in separate countries with an independent history, but in an unequally developing world-system that, between the long 16th century and the present, spread over the entire globe and today finds itself in structural crisis. The second chapter shows how the tradition surmounts the opposition between history and social science to again criticize an important dimension in modern thinking. The third chapter gives an overview of the WSA theories of racism, hegemony, unequal exchange, imperialism, … and a summary of the history of the modern-world system by Immanuel Wallerstein, founder of the tradition. The last chapter reviews some of the highlights of the tradition that today still is the most powerful tool to analyse our global society. For a digital version of the book please use the CivicLab CONTACT form. An update will be available in 2018. 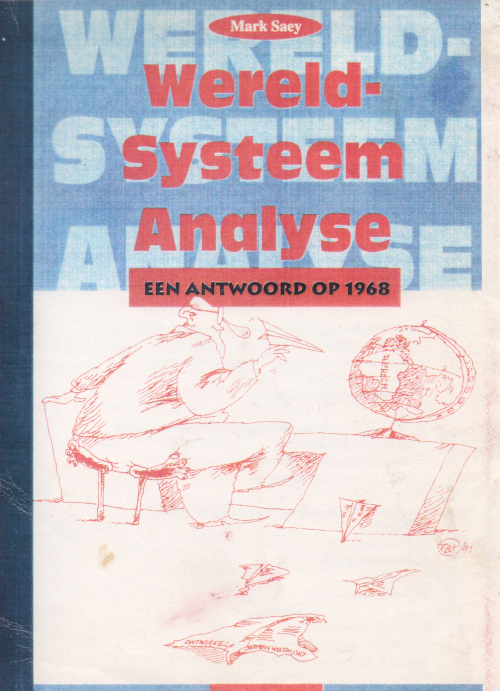 CivicLab SERVICES includes a lecture on World-systemanalysis.